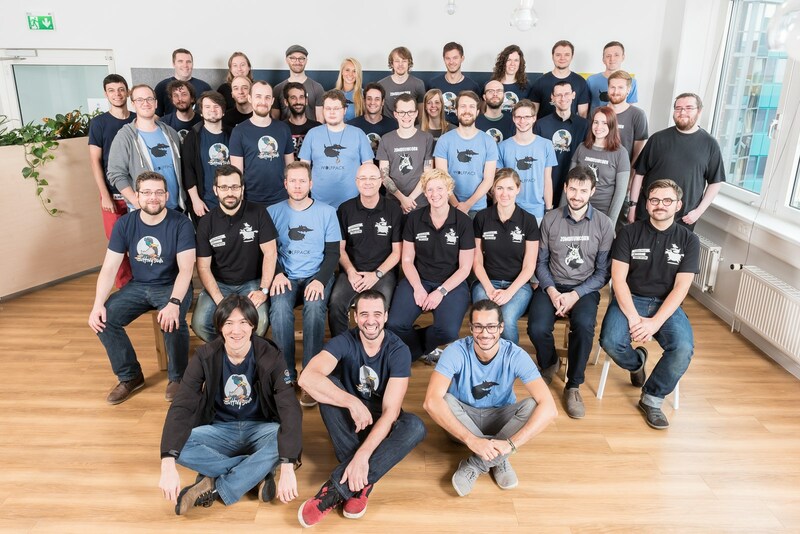 As you probably already know, we’ve been doing some big things at Goodgame Studios this year in our quest to achieve sustainable growth and count among the leading game developers worldwide in only a few years’ time. That’s why we have fundamentally restructured our company and established seven independent development units in order to diversify our product portfolio and get our new games on the market more efficiently. It turns out that we couldn’t have chosen a better name for our company six years ago: we want to produce good games beneath the overarching roof of Goodgame Studios, and that’s what we are doing in our studios now. We’d like to begin presenting these studios to you regularly in our blog. One of the new studios is Supersonic. 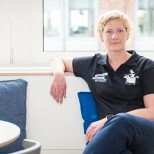 The currently 40 strong team comprising talented individuals from around the globe is led by Katharina Meiners. Divided into the development teams Sitting Ducks, Zombie Unicorn, and Wolfpack, the studio team works passionately on developing new and exciting games that will soon captivate players from around the world and certainly all of you as well. 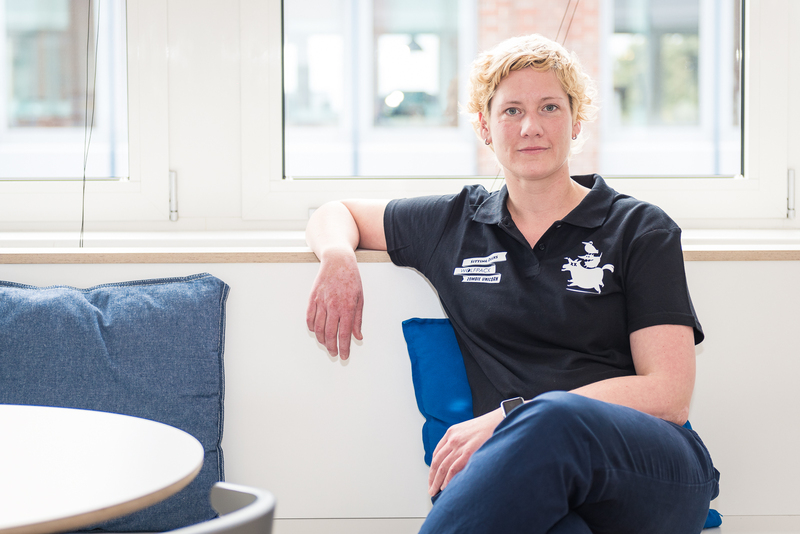 To give you an insight into the studio, we met with Katharina and asked her a few questions. I get enthusiastic about things quickly, and I love the motto “all-or-nothing”. My passion currently lies completely with Supersonic. I love to play games in my free time – everything from board games to PC and mobile games. I have around 80 board games, all of the next-gen consoles, and a gaming laptop of my own at home. Aside from games, music is my biggest passion. I’ve been playing instruments since I was 6 years old – piano, saxophone, clarinet, a bit of guitar, and I sing and write my own songs. This balances out my work life and is a quick and easy way to relax. How have your experiences from your career before here helped you in your current position? I worked in e-commerce and as a manager in digital economy for a long time, so I’ve gained a lot of valuable experience that helps me to manage my team in an optimal manner as well as implement agile processes. My expertise in the field of user experience has taught me that a design process oriented to the end user is a key cornerstone of making our games successful. That’s why we regularly put our new developments to the test. To do this, we use classic tests in the GGS user experience lab and additional qualitative and quantitative methods right up to our own in-house guerrilla testing methods. In these tests, employees volunteer to try out the game and give us valuable feedback on the prototypes. The variety of work I get to do with my team is great! It’s overwhelming to see the motivation and ongoing development of each individual and to collaborate with them on exciting projects. In addition, they are true team players that always think outside of the box to find new and creative solutions in their work. The opportunities for free development that the studio structure allows us have been a huge benefit. We focus on agile work methods and user-centered development in order to develop successful games in a fast and efficient manner. That’s also why we purposely chose the name Supersonic for our studio. Our studio’s flexible structures offer plenty of creative freedom so that our employees can reach their full potential. We work in small teams with flat hierarchies. This lets everyone have an influence on their project and possess a high level of responsibility. What do you consider the biggest challenges in developing a game? I want to make captivating games with my team which get players excited and are economically successful. Understanding the target group and all its wants, preferences, and needs is an interesting and also very challenging key task that we are able to accomplish with our user-centered approach. In this regard, I find the link between economic aspects and game fun fascinating, but also accompanied by plenty of challenges. Naturally user experience always comes first, since captivating game play is the basic requirement for every game, especially those that are economically successful. Of course we are also expanding on our extensive pool of experience on optimal game monetization. Nevertheless, we also want to make sure that the player is happy to invest their money because they love the product. Creativity and the development of new ideas is usually a big challenge in game development – Supersonic has already mastered this task with excellence in the first step. We had drawn up countless ideas within four weeks of the studio being founded. During the brainstorming phase, we held game pitches twice a week where we would choose our favorites. At the end, we took input from a variety of experts in the company to help us decide which game ideas to develop further. Each team member played a part in developing the ideas and subsequent prototypes. This is very important for the motivation of all studio members, as well as for future brainstorming sessions. 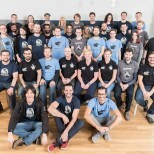 Furthermore, I think that one of the main aspects that makes Supersonic successful is that we utilize the expertise of every individual and meaningfully integrate the extensive knowledge of Goodgame employees outside of our studio, such as those from other studios and central departments. What can you share with us about your new games? Three projects are currently in development, so we can’t share any details about them at this time. Thanks to our agile working methods, our development process is advancing quickly, and very soon we’ll be able to show you results – so stay tuned! Do you have any advice for someone who would like to work in your team? If you would like to be a part of Supersonic, you shouldn’t only impress us with knowledge of your specialized area, you should also possess knowledge from a wide variety of disciplines involved in game development. Only in this way can the team achieve optimal collaboration and mutual support. In addition, it’s essential that potential candidates have the desire and honesty to question their own beliefs and develop themselves on an ongoing basis. We’re currently looking for product managers, 3D animators, 3D artists, and game balancers.